Bollywood and global superstar Priyanka Chopra‘s wedding preparations are in full swing. The Desi girl is currently having fun with her bridal shower, bachelorette party with her girl gang. Priyanka and Nick Jonas‘ wedding has truly become a talk of the town and seems like everyone is interested in knowing the details of their plan. 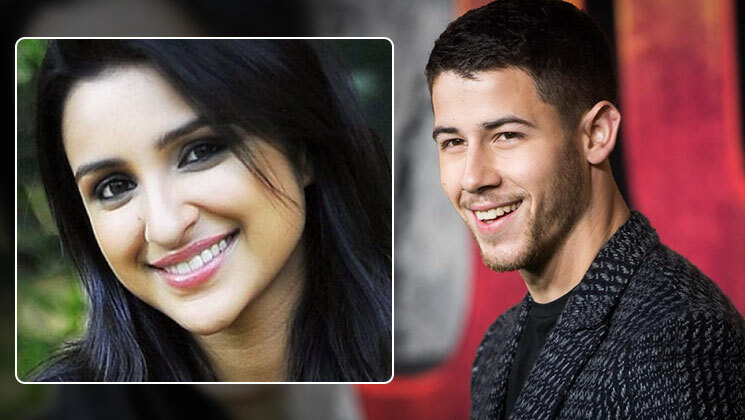 Now, Priyanka Chopra’s cousin Parineeti Chopra decided to have her own fun with brother-in-law Nick Jonas. Parineeti is very funny and is very close to her big sister. The ‘Namaste England’ actress recently joined PeeCee for her Bachelorette in Amsterdam, and the girl squad had the time of their life. Parineeti Chopra took to Instagram to share a fun hazy photo from the celebrations with PeeCee as they laugh their hearts out. The picture was no doubt beautiful, but it also got the special attention from Nick Jonas. This friendly banter shows how much Nick Jonas has become part of the Kapoor household and is totally having fun in pulling Parineeti’s leg. The wedding, which is supposed to be grand and regal affair will be reportedly taking place at Rajasthan’s Mehrangarh fort in the last week of November. We hope Parineeti keeps this banter even after Priyanka and Nick’s wedding.